Magdalena Olszanowski is an artist, teacher in Media Arts at John Abbott College and PhD Candidate in Communication Studies at Concordia University. Her work on gender, electronic music and sound and image technologies, with a particular focus on women’s expression as in ected by censorship, can be found in journals such as Feminist Media Studies, Visual Communication Quarterly and Dancecult. 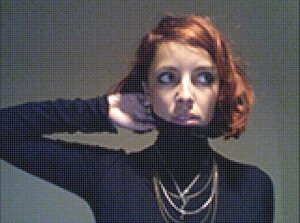 She is also currently working on microfemininewarfare, a documentary featuring women electronic music composers.